Mobility has not only transformed every day man’s life but also enterprises. The penetration of the mobile devices and their applications is so deep that they can easily revolutionize any business without too much effort. Enterprises nowadays highly rely on mobiles and their applications to enhance their productivity and performance. In fact, mobiles hold the primary spot for marketing in most businesses marketing strategies as well. With traditional marketing gradually vanishing and new marketing techniques starting to intrude, the role of mobiles can’t be ruled out as they can add wings to the growth of businesses in a short interval of time. 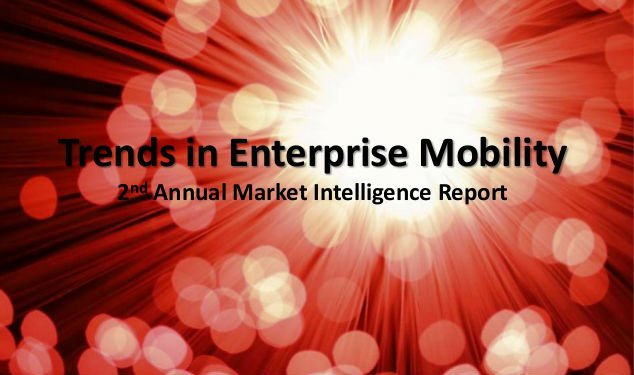 How Mobile Growth Influences Enterprises? The emergence of smart phones has ultimately transformed the business. Today, most business entrepreneurs make use of the smart phone devices like iPhone, Android, and Windows devices to takes notes of official meetings, conferences, seminars and even recruit candidates via their handheld devices. It doesn’t which location an employee or manager is they’ll be able to connect with each other in a hassle-free manner. The year of 2014 may witness significant rise in the web applications and it is already on the roll. The scalability of these mobile applications may further improve in the near future. The ultimate reason for the growth of this application type is the cost-effective benefit it carries. Also, the HTML5 support and high interactive ability with customers have made them popular in today’s world. Business resources are often subject to security risks and it is one of the biggest setbacks associated with the mobile devices. But, with the improvement of mobile application development, in the year 2014 you can have much better secure and safe resource handling systems with the help of emerging technology called IAM. Access, privacy, and single sign-on are other benefits that can be achieved via this excellent technology which will supercharge the authentication of the business. While mobiles and their applications are adequate enough to provide customers brilliant user experience, most often fail to deliver the same to the employees. Several reports claim that mobile apps often cause trouble to customers especially for their poor designing and functionality. Next year will see advanced technology and state-of-the-art tools enterprises may design better applications for employees for better performances. Today, most app developers are into developing applications for the devices of different platforms like iOS, Android, and Windows. The performance of the apps is going to get smarter and smarter in the upcoming year of 2014. Robotics and embedded sensors may be the pick of the elements in apps which could help users experience brilliant app performance. Real-time data feeds for enterprises can be a boon to them as they can simplify the jobs of most executives. While the security of the applications may be still under question, the app developers will be putting their best feet forward to negotiate the security risks. Networks are the heart of all enterprises and it is the LAN and WAN networks that help businesses run smoothly. But, the cost and infrastructure associated with this method is relatively high and most companies inevitably spend more on that. But, in the 2014 Wireless-LANs might play a crucial role in the networking and it’ll be helpful in the process of cutting down cost and offering mission-critical business services. The above-mentioned are the top 5 trends which might kick off in the upcoming year of 2014 and may even carry on to the next years to come.